"Your teaching has touched our family in a way that will change us for generations to come and I can never thank you enough." "I just finished Mother & Son and have learned so much. I have three sons...and have been struggling communicating with my oldest. A friend at church had recommended your book and it couldn’t have come at the more perfect time. For me it was easy and I get it now! Practically every chapter I was shaking my head in agreement. I think about things before I say them and try to explain in the most respectful tone without raising my voice. The biggest win for me was the first time I tried Respect Talk with my oldest son. We had gotten into an argument over the weekend and it was bothering me. A few days later I went into his room before bed and had apologized for my actions and how we are a lot alike and he is growing into a respectful and honorable young man. He grinned and I said good night and walked out. I went back into bed and within 5 minutes he came into our room to give us a hug, kiss, say good night and that he loved us! I had the biggest smile on my face. For me, this is easy and I get it now. I didn’t understand the blue way of thinking and it is something I am working on every day now. Thank you!" "I have to admit that I am not great at either the love or respect talk! So humbling. And yet, this book really gave me incentive to try to be better, with concrete examples that I desperately needed. I love my two teenage sons, and I've yearned to be a good mother to them, but wasn't sure how. This book told me how, and is changing my relationships with them. It is slow, because I do not change easily, but I am persevering, and better is BETTER!" "When my son gives me his insight I say, “I really respect what you have to say,” or “I respect the way you handled that situation.” Or “I really respect how you are taking initiative to get things done and follow through with . . .” These things have made my son smile like I have never seen. I talk more about respect with regard to sporting events and showing respect for other opponents. My son knows without a doubt that I love him . . . now I feel he knows that I value him and his ideas, which I may not have done so well in the past. . . . Thank you so much for sharing God’s message." "In talking to my sons on the phone, I thought I would try out the respect thing. Instead of always ending our conversation with I love you, I said, “I respect (I made it personal to their situations).” One son got quiet and then said, “Thank you, mom,” which really touched my heart. Another son who is more distant from us emotionally and spiritually also got quiet and then said, “I love you,” which he seldom says first or responds to when I say it. To me that was awesome. I expect new fruit in many areas and look forward to using these tools to bring healing to first myself and then others. God bless your ministry." "My relationship with my twenty-two-year-old son improved overnight! Who knew that... simple changes in words could make such a difference. Now I tell him how much I appreciate him, and he tears up. Before, I told him I loved him and got back, "I know, I know, I luv u too." Learning the right words to get my feelings across in a way they can be assimilated was so easy!" "Because of my lack of understanding the importance of respect, I purchased your “Mother and Son” book. We adopted our son as a newborn. We have always been honest with him about his story and now at 8 years of age he is beginning to ask some hard questions. Your teaching is helping me to allow my boy to talk about his birth mom and ask questions and cry tears. I don’t think I could have done that with the grace and kindness needed if I didn’t understand his need for respect. Respecting my husband and my son is healing them. It is amazing to see. " "A mom wrote to me about an incident that occurred just after she had attended a Love and Respect Conference. Her daughter, age ten, and son, age twelve, had gotten into an argument in the car after the son, with a helpful demeanor, attempted to answer a question the daughter had directed at her mother. The daughter flat out rejected his offer. She blurted out, “I asked mom!” The mother commented, “I had never noticed such disrespect coming from my daughter.” The boy, huffy at not being heard, shut down and moved to the back of the van. The mother wrote that, normally, she would have told her son to get himself together, but that this time she gave him a few minutes of silence and then asked her daughter to apologize for snapping at her brother. A few minutes later the mom asked him if he could answer his sister’s question, and he happily did so." "We have two boys, and our oldest is almost eleven. I know that he feels a lot of pressure on him to be a good example to his three younger siblings. I tell him I love him all the time, but I had never considered telling him I respect him. This last Tuesday, I was cleaning his room, and I found a note he had written. It said, “Failure=Benjamin.” He is very hard on himself. . . . I was devastated. I knew something had to change, and that something was us, his parents. We need to show him that we respect him. Before he got home from school, I made twelve notes and taped them around his room and hid them in places such as drawers and under his pillow: I love you. I respect you. I respect your ideas. I am so proud of you. You are the most creative person I know. You are a great big brother. As soon as he got home and saw the obvious ones I had posted, he ran to me and gave me a hug! His eyes were sparkling, and he was so excited. He immediately took the notes and made a board that said “compliment board” and taped them all to it. I have written him letters in the past to tell him I love him and how much he means to me (he is very sentimental and has kept every note and letter). But telling him I respect him went over the top. I have made a vow to respect my son and treat him like I want his future spouse to treat him." "A mother and preschool director wrote: We have four children, two boys and two girls. Our boys are in the middle and sixteen months apart. Our boys were arguing, bickering, and annoying each other on purpose around ages nine and ten... I would remind them to “be nice” or “show kindness,” and their actions would change for the moment, but it didn’t reach their hearts. As I applied the respect principle to them and said things such as “You aren’t showing your brother respect when you ______________.” Or “You show your friends respect, so you need to extend that same respect to your brother.” It was life-changing; it spoke to their hearts. Don’t get me wrong, they still have disagreements at thirteen and fourteen, but they are quick to resolve them, and they are best friends." "I have read Love and Respect years ago so I was familiar with the Respect message. However, I had not realized how much I didn’t know… What I didn’t know was my son, now adult, was starving for my respect as much as my husband did in the past. I always expected my son to show respect to me while thinking love was all he needed from me. Now, Emerson has opened my eyes again to the reality. I am getting ready to construct a letter to my adult son telling him how much I Respect him. I love the fact that there are practical words and phrases to use with my son that I would have never thought to say., Words that he longs to hear from me. Mother and Son is worth your read. Emerson will help you understand your son better." "…I had a heart-to-heart talk with our 35-year old son this past week. I started reading “Mother and Son” while we were still at the conference and was deeply convicted just after reading the intro! I texted my son immediately and said: “only gotten through the intro to Emerson’s new book and have learned that I have always loved you deeply, but have not always respected you – as a young boy or as a man. For that I deeply apologize and have much to seek your forgiveness for. God has already shown me two very specific times. Can we talk after I get home…at a time convenient for you?” he responded fairly quickly and said: “Yes we can”. We had a great 2-hour talk…and then, just as he was leaving, he came up behind me and put his arms around me and said, “I love you, Mom.” Whew…so special!" 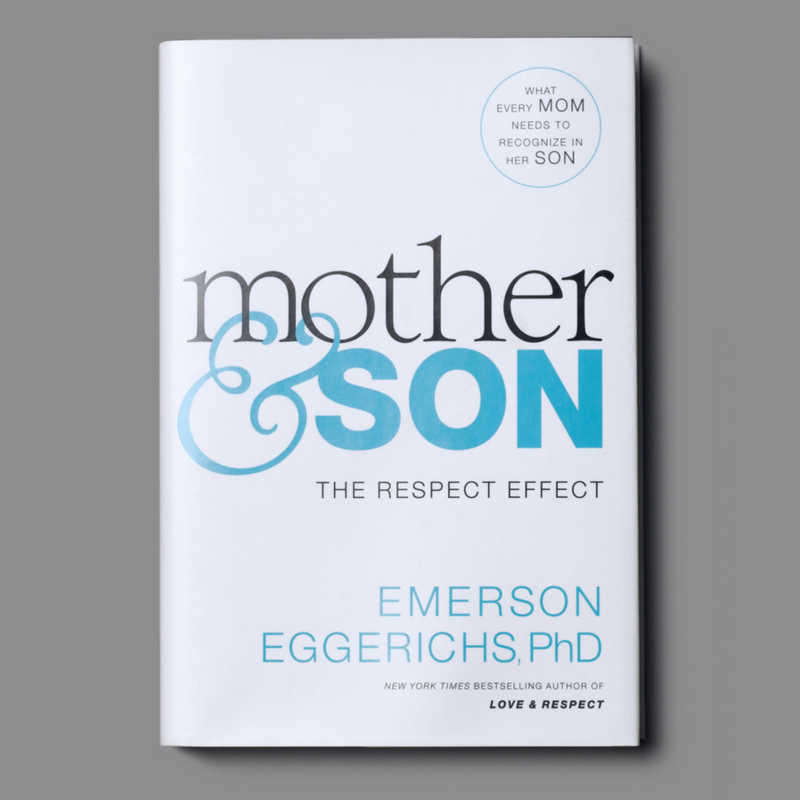 "I just finished Mother & Son: The Respect Effect, and it has opened my eyes to a whole new world. I’m a divorced mom with 2 adult sons and no brothers, so sorely in need of this book to get a clue. Wow! I have also ordered the Love & Respect Conference DVDs to help me with gaining more knowledge on the topic. Can’t wait for them to arrive. Thank you for this wonderful and enlightening book." "I listened to the audio book but now I’m ordering the hard copy. There is so much amazing information in here, I need a better way to reference it! After having many years of marriage turmoil, I heard an explanation of the Crazy Cycle. In hearing this, I knew I needed to know more but marriage wounds were too fresh. Having two sons (9 and4), I knew I needed understanding from God so that I would raise them with their masculine needs met to the best of my ability. This book has given me great illumination on the way God created the male gender and how to respond as their mother. It’s a book I need to reread every few years!" From the New York Times' best-selling author of Love & Respect comes a book for mothers. Get your free chapter and learn more below! Learn why you need this book, understand what respect looks like to your son, and learn the game plan. Check out the above review on Stacy's Youtube Channel HERE. As a researcher, Dr. Emerson Eggerichs, who has a PhD in child and family ecology from Michigan State University, garnered the testimonies of 1000’s of mothers. Based on his New York Times Bestseller, Love & Respect, these moms applied the Respect side of this message to their sons with significant effects. 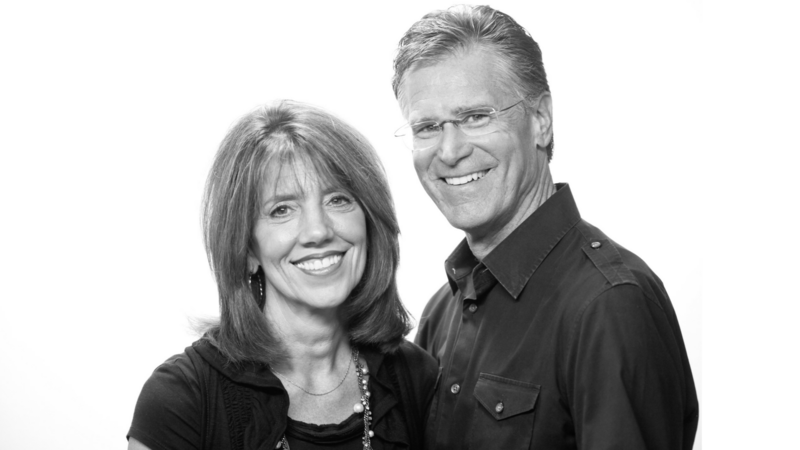 Emerson and his wife, Sarah, present the Love and Respect Marriage and Parenting Conferences across the country, and Emerson has also spoken to groups from the NFL, NBA, PGA, Navy Seals, and members of congress.